This week, Microsoft officially began selling a brand-new enterprise version of its cloud-based office productivity suite – Microsoft Office 365. 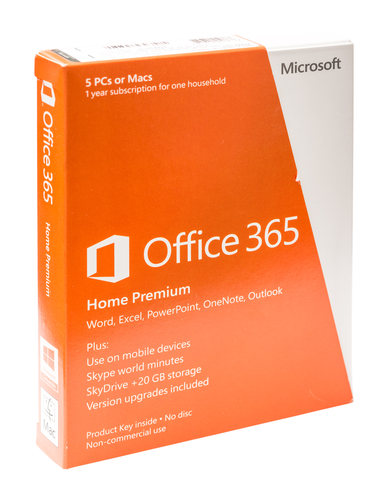 Known as Office 365 E5, it is the company’s new highest-end business plan that includes Office 365 applications as well as additional features such as voice and teleconferencing capabilities through Skype for Business and analytics and business intelligence solutions – integrated seamlessly with the Office products employees use every single day. Prior to Office 365 E5, the highest-tier enterprise-level of Microsoft Office 365 was Office 365 E4. The E4 level includes Microsoft’s corporate social media platform Yammer as well as Skype for Business and Enterprise Voice solutions through Skype. While the company is still offering this level of service (for $22 per user per month or $264 annually), it is slowly being phased out and will no longer be offered as of June 30, 2016. Instead, Office 365 E5 will replace E4 as the top-tier solution at a price of $35 per user per month or $420 per year. Cloud PBX and PTSN Calling – these features let you send and receive traditional phone calls through Skype for Businesses. Instead of having a separate PBX system and service, office phone systems can be managed and routed through Skype and Microsoft Office 365. Skype for Business also features call options such as hold, forwarding, and call transferring. PTSN Conferencing – This feature allows users not on Skype to connect by dialing-in to a Skype conference over a landline or mobile phone. This is ideal for a company trying to connect with external clients who may not actively use Skype or to connect with employees in areas where an internet connection may not be available. Skype Meeting Broadcast – Meeting Broadcast allows businesses to broadcast a Skype Meeting over the Internet to an audience of up to 10,000 attendees. This is a great way for companies with multiple locations to connect all employees in one centralized meeting. Or it could also be used to conduct webinars and other teleconferences with multiple attendees. Many businesses have third-party business intelligence applications either hosted internally or in the cloud. With Office 365 E5, BI capabilities are built right in. E5 introduces us to Delve Analytics which have visual dashboards that provide easy-to-decipher insights on business activities. Power BI is a business analytics service that allows data analysts to view and analyze data via live data dashboards, interactive reports, and data visualizations. Two new features are focused on improving security and data protection in Office 365. Advanced Threat Protection is a high-level security solution that applies behavioral analysis to system monitoring to protect against unknown malware and viruses. With Customer Lockbox, users get new approval rights and better control over their data stored in the cloud on Microsoft’s servers.